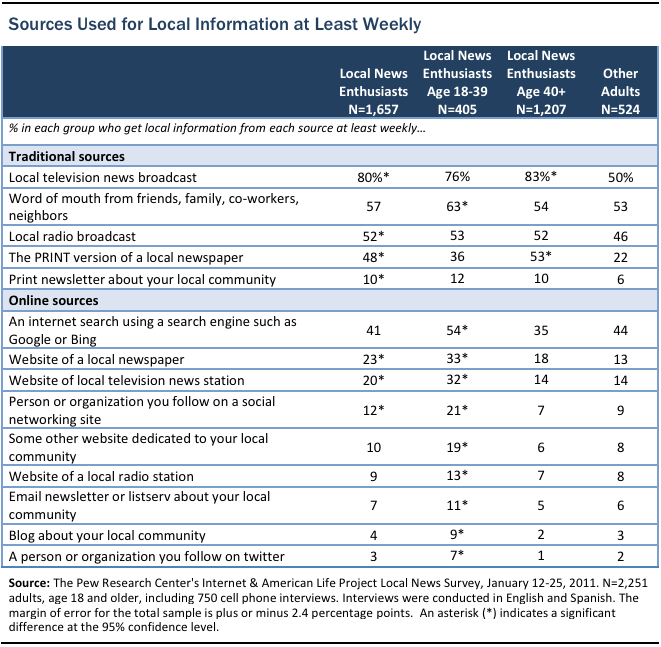 Nearly three quarters (72%) of adults are quite attached to following local news and information, and local newspapers are by far the source they rely on for much of the local information they need. 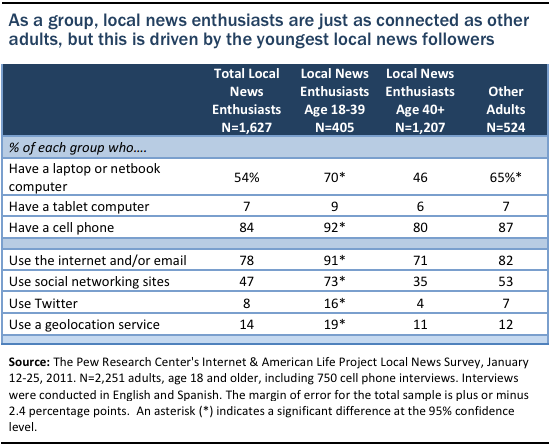 In fact, local news enthusiasts are substantially more wedded to their local newspapers than others. They are much more likely than others to say that if their local newspaper vanished, it would have a major impact on their ability to get the local information they want. 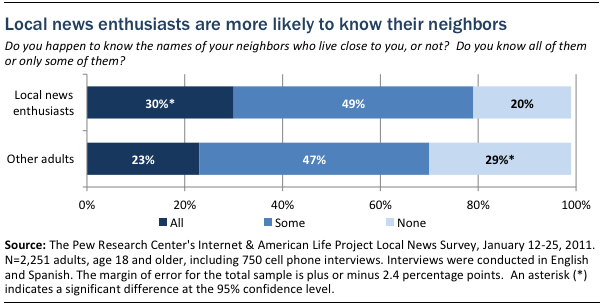 Local news consumers are more connected to their communities than others, both in length of time in the community and in their connection with neighbors, and more likely to think they can improve their communities. Roughly three in 10 have lived in their community 20 years or longer (32% vs. 20% of others), and thus not surprisingly are more likely to know all of their neighbors. This is driven largely by local news enthusiasts age 40 and older. 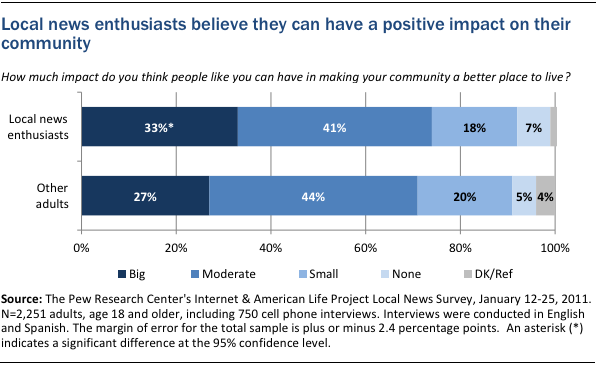 As a whole, local news enthusiasts are also slightly more likely than other adults to believe they can have a big impact on making their community a better place to live.